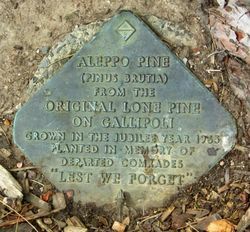 An Aleppo Pine planted in 1965, the Jubilee Year of the Battle of Lone Pine, commemorates those who served in World War One. In the Anzac Section of Gallipoli in 1915, there was a solitary stunted pine growing on a scrubby plateau. 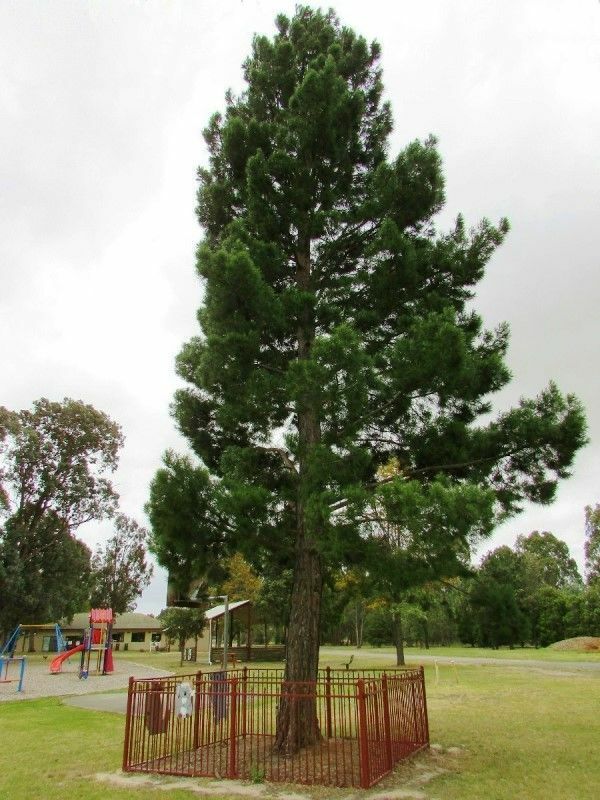 The tree was of a species indigenous to the Mediterranean known botanically as Pinus brutia but more popularly called Aleppo Pine. But this particular lone specimen was conspicuous and served to provide a name for the plateau, which thus became known as Lone Pine.